We are the foremost organization in the field of manufacture, supply, trade, distribute, retail, wholesale and import of GPS Trackers comprising of GPS Vehicle Tracker, GPS Vehicle & Personal Tracker, GPS Personal Tracker and GPS Motorcycle Tracker GSM. These trackers are used for the tracking purposes and use the global positioning technology in order to do so. Our company has earned accolades in the field of manufacture, supply, trade, distribute, retail, wholesale and import of GPS Motorcycle Tracker (GSM). As their name implies, these trackers are used to track the motorcycles using the GPS and GSM technology in the combined manner. Equipped with built in GSM and GPS antenna design, these motor cycles are available in 3 color LED state display. Furthermore, these motorcycle trackers are available at competitive prices. Enriched with years of experience, we are involved in the manufacture, supply, trade, distribute, retail, wholesale and import of GPS Vehicle Trackers to the clients. The specialty of these vehicle trackers is their inbuilt GSM and GPS antennas. These vehicle trackers are able to identify the location of the vehicle and could also upload the location. The voice monitoring system along with the panic button for SOS alarm has been appreciated by each and every one. Banking on our industrious workforce, we deal in the manufacture, supply, trade, distribute, retail, wholesale and import of GPS Vehicle Tracker. 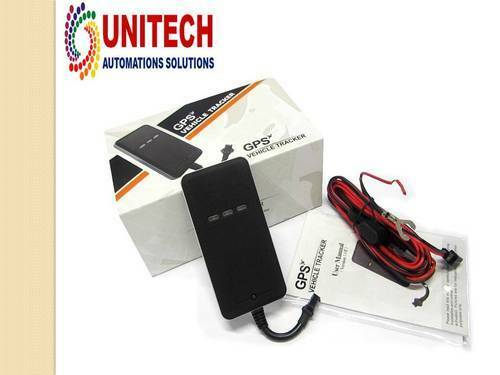 Avail from us the best quality GPS vehicle trackers at affordable prices. GPS means global positioning system and this technology is used in the airplanes to help them identify the direction in the air. Now, our organization has used this technology to manufacture vehicle trackers which are used to track the location of the vehicles. These vehicle trackers are available at legitimate prices. GPS Senior Phone Tracker is a GPS high quality senior mobile phone. The complete range that we offer is carefully sourced from reputed vendors of the industry. Further, the range is stringently checked and tested to ensure delivery of defect free products at client’s destination. We are among the most sought after companies in the field of manufacture, supply, trade, distribute, retail, wholesale and import of GPS Personal Tracker. The offered range of these personal trackers is based on the technology of GPS which is alternatively referred to as Global Positioning System. The excellent softwares provided in these trackers are used for tracking. In situations of emergency, these personal trackers could easily dial SOS numbers. Finally, our clients could easily avail these personal trackers at leading market prices. GT03B is smart portable trackers which intergate GSM and GPS technologies. Its main functions are including geo-fence/vibration alarm by manual or remote control/avoid static drifting and so on. You can go to track the device location through software platform or by sms command. In case of emergency, GT03B can dial SOS numbers and then send location sms. GT03B support voice monitor function also.